Unless Of Course, You Expected Bottomless Lakes. 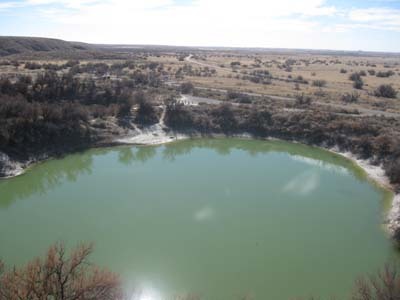 Okay so none of the eight small lakes at Bottomless Lakes State Park just east of Roswell, New Mexico, is actually bottomless. But considering their small circumference, they're very deep (between 17 and 90 feet). In fact, scuba divers come here to practice depth diving. At first glance, you don't even realize these are lakes. 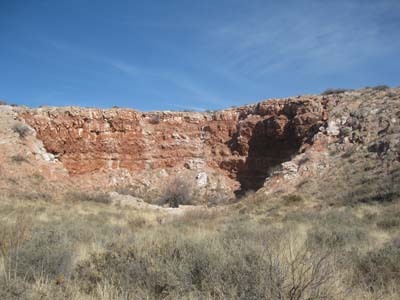 The colourful limestone wall that lines the northeast side of the park seems to be dotted with amphitheater-shaped depressions, possibly dry sinkholes. 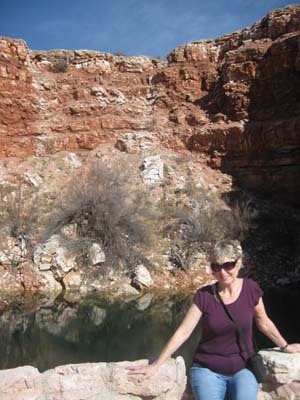 It's not until you step up to the edge that you see the relatively clear water - a lake - in each location. 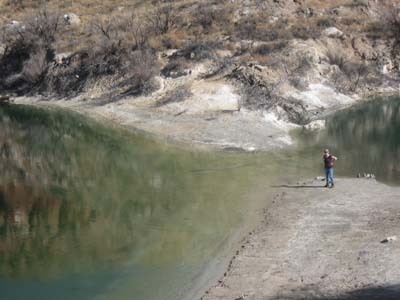 The lakes formed when water, reacting with salt and gypsum layers created underground caverns. 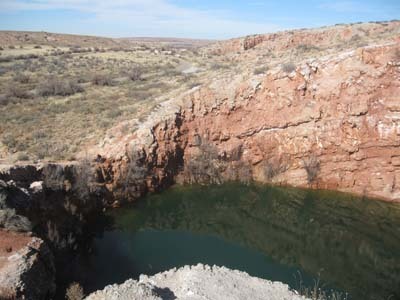 Gradually the ceilings of these caves collapsed, leaving the sinkholes, which filled with water to become small lakes. The water is runoff, seeping through cracks from the mountain ranges to the west, actually flowing underneath the Pecos River. The view to the east is of the open desert. 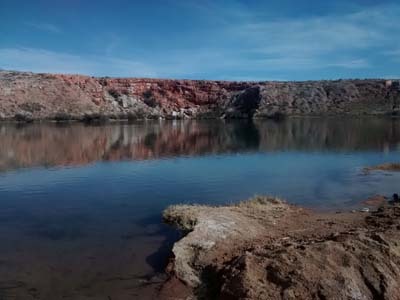 With the recent years of drought through much of the southwest, it was a treat to see this string of tiny lakes filled to normal capacity. The park wasn't busy despite it being a long weekend (Martin Luther King Day) and beautiful summer weather. The facilities are exceptional and a large sand beach, with a well-designed shaded, stone corridor for picnic tables is, I'm sure, very popular in summer. A local person I met on the trail mentioned temperatures often hover above 100 degrees. 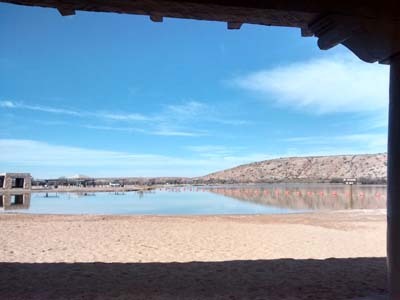 The beach viewed from under the shady, stone corridor. We camped in the park's main campground, in Lea Lake Recreation Area, but there are also $10.00 non-hookup sites spread throughout the length of the park near the smaller lakes. 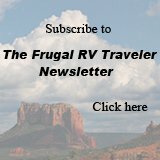 Some are very appealing with a lot more privacy but we chose our site for proximity to the RV dump, fresh water, and showers since de-winterizing the RV was our primary reason for paying for camping. Our campsite. That's white sand, not snow in the grass. In the evening, the lake was clear as glass. I enjoyed solitary hikes on the 1-mile Bluff Trail and the 1/2-mile Wetlands Trail. 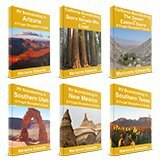 Actually, you could hardly call it hiking – just walking – since the trails are wide and without elevation change. Actually Randy had intended to join me but he didn’t get great value in this park; he came down with the flu and spent most of the two days in bed. 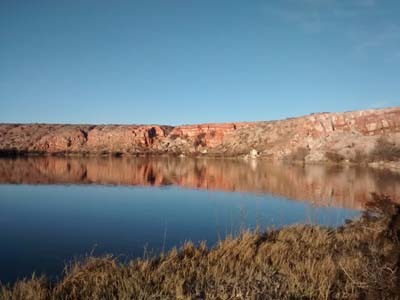 View of Lea Lake at the Bluff Trail trailhead. 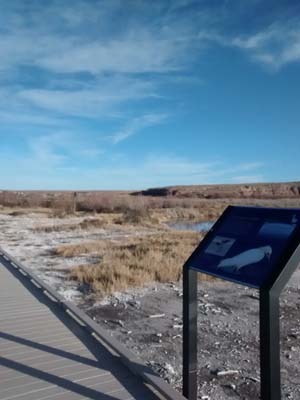 The Wetlands Loop includes a 1/4-mile of boardwalk. 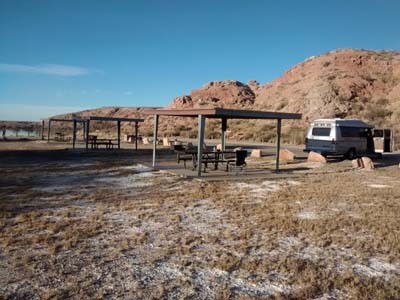 On Monday we left the park and moved on to Las Cruces and our first real boondocking site of the trip. Ahhhh!!! Now it feels like we've arrived! We know this area from previous visits so we are pretty sure of the public land boundaries but we're excited to have a new tool on this trip. So far, I think it's going to come in guite handy. The Public Lands App doesn't require an Internet connection once it's installed. A quick glance at our phone indicates our location (a small blue dot on the map) and various map colors show whether the surrounding land is private or public (BLM, NF, etc. 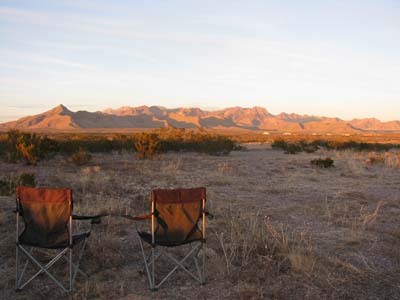 where free dispersed camping is usally allowed). The app seems to work equally well while we're in transit as when we're stationary. Of course, it's still important to check for signage that may indicate differently but the app is just one extra tool to put our minds at ease that we're camped legally. Being sick on the road is no fun at all that's for sure. Hope he gets to feeling better quick!